When purchasing silver bullion, you need to consider the shipping costs, where the bullion can be stored, and if you want bullion in bars or coins. There are companies that will offer silver bullion free shipping during free shipping promotion dates, but most companies will require a shipping cost. 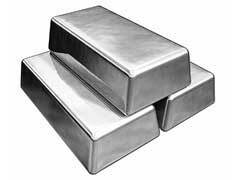 Research companies on the internet to find the best prices for silver bullion as well as possible shipping options. The first place that will offer promotional free shipping is Pan American Silver, a world frontrunner in the manufacture of new silver. Northwest Territorial Mint works as the mint for striking Pan American’s wholesale silver bullion that is upgraded to 999+ purity. You can purchase bullion from Pan American through Northwest Territorial Mint in silver bullion bars or in ½ and 1 ounce rounds. There is free shipping on any 500+ silver orders through the end of July 2012. More free shipping promotions are being planned for later in the year. Kitco sells to US and Canadian customers without deposit or collateral for precious metals worth up to $20,000. Silver bullion free shipping is negotiable and options for free shipping can be negotiated. Kitco provides hourly prices of precious metals, an online store, and expert market commentaries. Minute by minute news and market information is available to help make silver buying more informed. Kitco is advertised as one of the world’s most respected retailers of precious metals and offers lab ware services for mineral analysis to make sure your silver purchases are authentic and pure. The True Metals Group, LLC is a recognized metals dealer who is offering free shipping on any 500+ silver bullion or coin orders through the end of July. They frequently offer silver bullion free shipping promotions, so check their website often. You can buy silver bullion online through their state-of-the art website and True Metals also offers investments in physical silver bullion bars added to your IRA. American eagle silver bullion coins are beautiful collectibles and are legal tender. Weight and purity are guaranteed by the United States Government and these coins are the only silver coins allowed in IRAs. Coins are 99.9% pure silver and the 1916 Walking Liberty half dollar is one of the most beautiful coins ever minted. Prices are based on the market price of silver and shipping costs will vary. Discuss silver bullion free shipping with either the Mint or an authorized dealer.